Mothers of Multiples Society - Discount Tickets to the Aquarium! 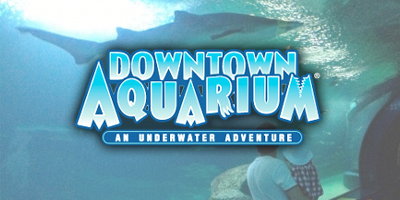 MOMS members get to enjoy the Downtown Aquarium at a discounted rate! Not sure when you want to go? Not a problem! Tickets are good until September of 2019! Denver Tech Center home address will be in order confirmation email. Please allow at least 24 hours to coordinate a pick up as same day pick up may not be always available. There is an extra $4.00 charge for shipping. Please allow 7-10 days for shipping. Payments must be made online prior to picking up or shipping tickets.